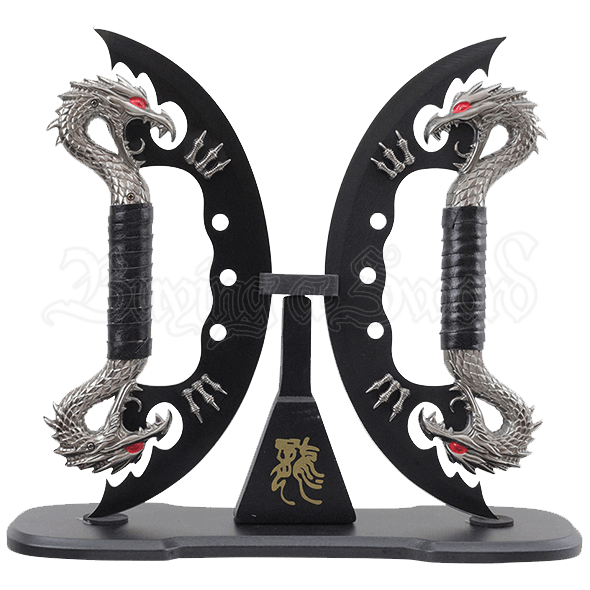 The mythical beasts of the Dual Black Dragon Blades add fierceness to your punch. Their inclusion in a cosplay costume contributes to an air of intimidation. The ambience of a home or office benefits from their presence as well. The semicircular blades are fitted with hand grips, allowing their wielder to maintain a firm hold. Cutouts and serrations decorate the fantasy style blades. A pair of dragon claws decorates each blade as well. Double-headed Asian dragons form the handle of each piece. Crafted from cast metal, the red-eyed, serpentine beasts are highly detailed. 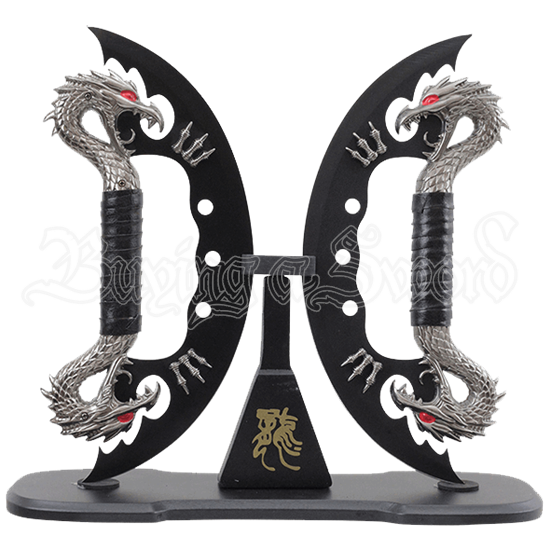 Their silver color contrasts strikingly with the black finish of the blades. A black wooden stand is included for decorative display.